Protecting Commercial Assets. Building Value. 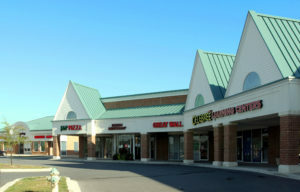 Closing on a commercial property is just the beginning. Building and protecting value is an involved and potentially turbulent process. That’s why Frederick County, Maryland commercial property owners, like you, need a meticulous, dedicated and savvy property manager to protect the value you’ve worked so hard to build. With more than two decades of experience across all aspects of commercial real estate, we are uniquely positioned to care for your property or portfolio of commercial properties. Whether an office complex, apartment building, shopping center or industrial site, we offer a full range of property management services to meet any need. Monitor expenses, approve bills and disburse funds including proceeds to investor/owner. Learn how MacRo reconciled 27 voices in a complex partnership real estate deal.